During Hackbright Academy’s immersive and rigorous 12-week software engineering fellowship, students built impressive web apps in just 4 weeks! Get ready to be inspired by these amazing women and their creations ranging from trip planning to ride sharing apps that showcase their unique personalities. Allie Glotfelty is a tenacious problem-solver and collaborative teammate. She came to Hackbright by way of a major in mathematics at Colby College and a career in nonprofit development. Most recently, Allie was responsible for the online platform development, partnerships and events at Technovation, a global mobile app competition for girls. Allie was so inspired by seeing the girls at Technovation develop apps to solve problems in their community, she left to do the same. Run Holmes helps users reach their running goals. The application uses a unique algorithm, backed by research from thought- leaders in the running community, to develop a mileage-based training plan. Users can download their plan as an excel doc from the homepage or create an account to take advantage of several accountability features. Once logged-in, users can mark off completed runs and track their progress on the runner dashboard. They can also sign-up for reminders via SMS or email, and add running workouts directly to their Google Calendars. With Run Holmes, users have all of the tools and motivation needed to meet and exceed their running goals. Prior to devoting herself full-time to Hackbright, Amber worked in user operations at Quizlet and Asana. And for several years after graduating from the University of Chicago, she worked in sales and support for Apple. Working directly with end users—getting to know their desires and pain points—and being on the front lines through numerous launches has grounded her with a rich sense of context for the step she’s about to take and perspective that will be an asset to the company she joins after graduating. Becoming an engineer is, for her, the next step in an ongoing commitment to contribute more deeply and directly to building a great product that people love. If this resonates with you, she’d love to talk! DoBeDo applies the notion of quantified self to the question of how to spend our time if optimizing for happiness. Users track how they feel before and after regular activities to better recognize which ones have the most positive impact on their mood. At signup, they select up to ten activities to track. Going forward, they record when they plan to do an activity and how they’re feeling about doing it and, afterward, when they finished and how they felt then. The app provides a visualization of their sentiments before and after. They can also opt in to receive an automated text message reminder if 24 hours have passed since they’re likely to have completed an activity and they haven’t yet recorded how they felt about it. 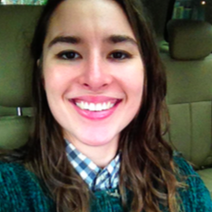 Amelia is currently an engineering fellow at Hackbright Academy. In true Bay area nature, her introduction to programming came in the way of engineering housemates, to be exact, a full house of engineers! Their work discussions inspired her to enroll in Hackbright’s part time course where she was introduced to Python fundamentals and built her own project that intertwined her interests of travel and programming. Upon completing the part-time course, she knew that she wanted to become a software engineer. She is excited to apply what she learned from Hackbright’s engineering fellowship. Outside of programming, she is either running her Etsy store (she sells crocheted accessories) or making videos of her adventures with her Husky. Wanderlust Ave is a travel app designed to motivate users to create bucket lists and check o their bucket items. A user can find items to add by keyword search, a D3 map to search by country, or by looking at popular bucket items. Facebook is integrated to make it easier for a user to connect with friends. Charts are used to display which Facebook friend has the most items in common and which countries they have the most uncompleted items in. A user can also visualize each list’s locations via Google Maps. Lastly, when a user marks an item as complete, a progress wave gauge updates to show the percentage of completed items. 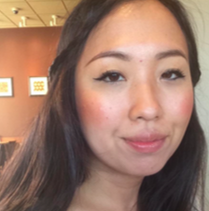 Ashley Trinh is a data-driven problem-solver; she enjoys the challenge of using prior knowledge to create optimal solutions that benefit others. To fulfill her passion for creative problem solving, she has been a fine artist, UX researcher and graphic designer, and computer science tutor, but she kept coming back to her programming hobby. While spending another weekend hacking together video games and solving problems on CodeWars, she decided to apply to Hackbright Academy. 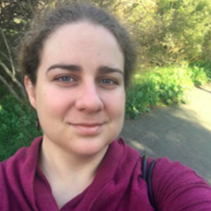 At Hackbright, Ashley has built on her prior coding experience, solidifying and formalizing her knowledge of computer science fundamentals. Afterward, she will continue to seek out new problems so that she can solve them by pursuing a career in software development. Portfolio is a lightweight web content management system for users to manage their online portfolio. Intended for creative professionals and hobbyists who need a simple solution for content management: users can create projects, upload images associated with those projects, and set tags for each project. They can create and edit categories for their projects. They can also create and edit pages of text content and external links to other websites. The information will appear on a public portfolio with a clean, professional layout. Portfolio also includes an extensive API. Chine graduated from Johns Hopkins University with a bachelor’s degree in Writing. Prior to Hackbright, she worked in digital marketing at Ubisoft Entertainment, where she provided data-driven insights and worked closely with game developers to enhance marketing strategy for the AAA video game “For Honor”. 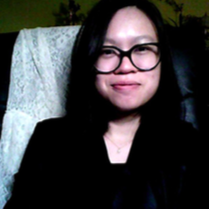 Working with such large amounts of data sparked Chine’s interest in complex data structures, which led her to start teaching herself Python and SQL. 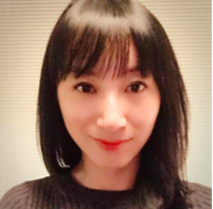 Looking forward, Chine is excited to use her marketing/data analytics background, enthusiasm for learning, and her love of well-written code (and even better- written documentation!) to build scalable, consumer-minded software. Staycation analyzes a user’s food and activity preferences and plans a night out for them in San Francisco. The catch? The user’s destinations are a surprise! Using the Twilio API to guide users based on their responses to text updates, users are taken to a restaurant and a post-dinner activity, both chosen using the Yelp API and curated to be within the user’s tastes, food preferences, and interests. Features include a “Get Up And Go” button that orders a Lyft for the user to take them to their first surprise destination right away, and a unique matching algorithm to allow users to join other trips using a Tinder- esque swipe interface. Bay Area native Christine Urban gravitates toward software engineering out of a keen sense of detail and a penchant for problem-solving. 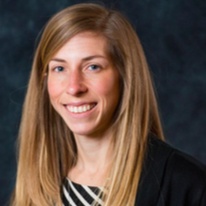 In her prior career as a registered dietetic technician and a pediatric gastroenterology practice manager, Christine found herself yearning for more of a challenge. She began building websites from scratch, landed an email developer position, and continued on to Hackbright Academy. Christine’s heart is in the front end because she loves building upon the web’s beauty and utility. She looks forward to integrating her client-focused background with client-side development to create interactive and user-friendly applications. OuterSpaces helps users find outside places to eat, sit, and see public art in San Francisco. An OuterSpace is a food truck, a privately-owned public open space, also known as POPOS, or public art, as part of the 1% Art Program. Users can view all locations on a map within San Francisco neighborhood boundaries, or have a trip created for them according to their current geolocation. A user can also get detailed information on each location, get walking or driving directions, find other nearby locations, search by name or keyword, and see locations near an address. In addition, users can sign up for an account and save/delete favorite OuterSpaces on their profile, as well as update their personal information. Erika Kettleson studied Art History and Women’s Studies at Wellesley College. She has always worked with images and started as an editorial assistant and producer before moving to London to work in trend analysis. After joining an e-commerce start- up in SF as a Photo Editor, Erika developed her design, branding and production skills while curating and producing all imagery company-wide. She has always been interested in quantifying visuals, demystifying fashion, and trend forecasting & history, and she looks forward to combining her interests and join a team of questioners, analysts and passionate people. Show.Me is an interactive web app leveraging a custom built data set of the most popular colors over the last ten seasons of runway shows. Working with about 20,000 images from thirty designer brands, each show was processed, sampled & analyzed using k-means clustering and Pillow, and the top ten colors pulled out for visualization. Charts examine color use by year, season, brand and by overall individual popularity. Generosa has always been passionate about endeavors that challenge and add to her tool kit. 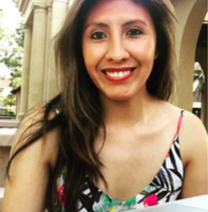 With a BS in Engineering and an MBA, Generosa has deepened her technical skills with a software engineering fellowship at Hackbright Academy. 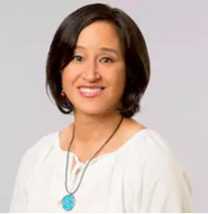 Previously a Director of Marketing at various high-tech companies including Hitachi, EMC, NetApp, and Oracle, Generosa not only created and presented content that translated technical concepts into business value, she also influenced teams to see the big picture, effectively problem solve, and efficiently execute to the desired outcomes. 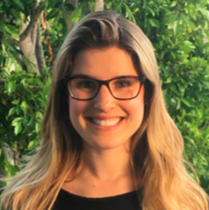 Generosa is excited to use her software engineering skills, leadership, and business experience to create solutions that add value to people’s lives. PAWS Finder: Where Pets And Wonderful Shelters Are Just A Click Away! Quickly search for an adoptable dog or cat that from a shelter near you. With PAWS Finder, registered users can quickly find their ideal dog or cat by entering criteria such as location (zip code, or city/state), gender, size, breed, and age. Searches can be saved and retrieved at a later time. Want to know which shelters are near you? Simply enter a zip code and all shelters with adoptable pets will be displayed via Google Maps complete with an info window that displays links to available pets and contact information. With PAWS Finder you get the most-up-to date adoptable pet and shelter information anytime and anywhere. Sparrö is a web app that serves as a means to personal empathy and daily inspiration. Sparrö draws on natural language processing to conduct sentiment analysis of a user’s Twitter feed. Based on the analysis of the user’s current mood, the user receives an inspirational quote or poem suited to their attitude. The app can track the user’s attitude over time, visualize this information, and let the user set reminders via text message. Kallie graduated from Stanford University in 2013 with her undergraduate in Psychology and her master’s in Management Science & Engineering. 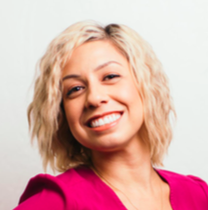 After product management experience at Intuit, UrbanSitter, and most recently at Pinterest, she wanted to better understand how products were built and be involved in that actual building process. Passionate about solving problems, learning, and building meaningful solutions for customers, she is seeking full stack engineering roles at mission driven companies with strong company culture. When she isn’t programming, Kallie enjoys travel, taking classes to learn new skills/hobbies, photography, spending time with her family, and hiking around the Bay Area with her puppy. Audio Articles allows users to save, organize and listen to articles of any sort. Intended for a time-strapped, audiobooks-loving demographic or the visually impaired, this app provides functionality to save article text and organize with tags. Users can then view their articles by different tags, last listened or date saved, etc. The most useful feature is that for any article, users can select from a host of possible voices and accents, and have their article text read aloud to them in that voice. Amazon Polly, Amazon’s new text-to-speech API. 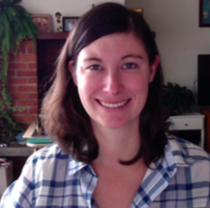 Before Hackbright, Katie spent most of her career developing a love of data. After earning an environmental science and policy degree she began a career as an environmental consultant. For eight years, she worked on databases that calculated air and greenhouse gas emissions and helped companies comply with environmental regulations. The more she learned about data and SQL, the more she wanted to dive into the world of programming. 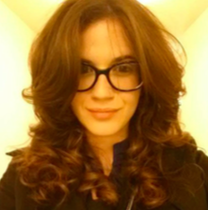 Katie worked as a product manager for a small start-up while learning code through self-study. She then applied to Hackbright to help her make the transition to software engineering. Katie is excited to bring her 10 years of experience managing projects and data to the tech community! Using publicly available emission factor data from the EPA, the app calculates a user’s carbon footprint based on electricity and natural gas use as well as miles driven. The app visualizes the data to show how energy use decisions affect your carbon footprint over time. Katrina discovered her creative aptitude early as a student at a Waldorf School where she cultivated a love for illustration and building community. After graduating from Sonoma State University with a degree in communications, she kicked-off her career in graphic design. Eventually, working with web designers led her to enhance her front end skills and develop her back end skills. She continued to build software engineering skills via community college classes and HackReactor Prep. Katrina looks forward to bringing ideas to life from design to code. Pair Necessities manages administrators, cohorts, students, student lab pairings, labs and keywords relating to the labs. Pair Necessities allows a Hackbright student to join a cohort, find a lab by keyword, see who she paired with on that lab and keep notes with her pair on what they learned together. Administrators can create cohorts, create labs and create lab pairings. Luna specialized in marketing at a SaaS company in China before she attended business school at Hult in San Francisco. During business school, she was inspired by the tech scene and began learning how to code from scratch. She took an intro to front-end web development course at General Assembly and nished 200+ code challenges at Free Code Camp. 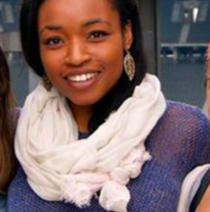 She joined Hackbright to build a solid foundation in software development. Luna enjoys the connection between creativity and technology. She enjoys using her creativity to build new technology and would like to develop technology that helps people express their own creativity. When she’s not coding, she enjoys playing guitar, watching movies, and biking under the sun with friends. Wes World is catered to people who enjoy matching colors for their daily outfits. It aims to simplify and gamify an online shopping experience by displaying an ensemble of clothes from the Etsy API, based on the color palettes of Wes Anderson’s movies. By default, a user can browse the ensembles and individual clothing items without an account. But an account profile would come in handy when he or she wants to save the ensembles to the dashboard. To gamify the experience and encourage social interaction, each user will have one point when the ensemble he or she saved are saved by another user. Lydia Huang comes from a background in manufacturing specializing in the medical device industry. For the past 10 years she worked as a sales engineer helping companies build their latest medical technologies. She attended a robotics competition and after witnessing the work these students were able to produce over the span of a few months, and was inspired to learn more. She embarked on a new journey at Hackbright and now knows that programming is her true passion. 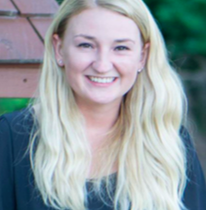 Lydia looks forward to merging her sales engineering experience with her programming experience as she builds a software engineering career where the creative and analytical intersect. For her Hackbright project, Lydia built ParkerSF – Parker SF relieves anyone trying to find parking in the bustling city of SF. ParkerSF will take in a user input location and return 10 sorted closest parking garages near the destination. The locations of the garages are return as markers on a Google map linking to the garages displayed in the side bar. The map feature provides users a visualization of how far the garage is from the destination, allowing the user to select the most convenient garage possible. In addition, this application also allows the user to compare the ratings of every garage to select the best garage possible as well as a chart and table to visualize the user’s past parking history. Medalis graduated from Cornell University with a degree in Labor Relations. She began her career as a client advisor at Bessemer Trust, where she was inspired by a number of entrepreneurs to start a business. Two years later, Medalis founded a dog walking business in Washington DC, Wagntail. To manage Wagntail, she relied on a third party web app to provide updates to her clients. Eventually Medalis tried her hand at making her own app. Before she knew it, she was spending more time learning to code than growing her business and decided to transition to a career in software engineering. 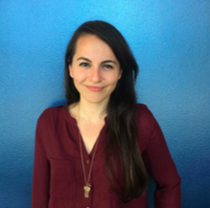 Medalis hopes to blend her entrepreneurial background, programming education, and hustle to join a mission-driven company as a full stack developer. 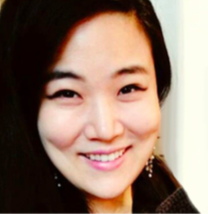 Soo’s passion for software engineering started in elementary school, where she loved xing and programming a beat-up IBM 286 computer inherited from her older sister. Soo fostered her love for technology and went on to lead Samsung’s securities subsidiary as part of their technology and education sector and worked as an IT manager at a multinational trading company, developing shipment tracking modules, managing systems, and building global websites. Soo also founded a startup that conducted IoT market feasibility analysis for clients such as Intel. She has loved working in IT, but has always dreamed of becoming a software engineer and joining a company that changes the tech industry and the world. This project is built to accommodate needs of global companies that may want to have their own employee roster. Are you ready to get started with your career in tech? Learn more about our 12-week immersive program and Hackbright Prep Part-Time.